The Atlantic Sound Factory has listeners from all over the world, and I thought it would be interesting to publish some listener-photos in the magazine. Next time you’re out, please take some photos of your town or area to share your scenery and culture with readers. Something that tells us what part of the world you’re from. Whether it’s scenery, buildings, people or cars, things that may be ordinary to you may be very interesting to people from other areas of the world. 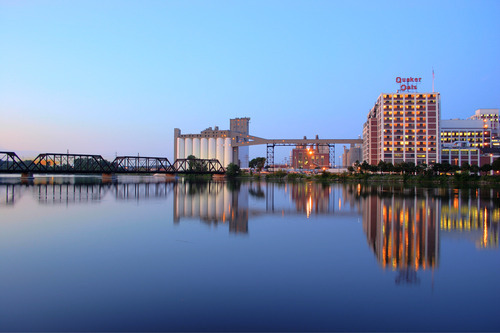 The photo above is Quaker Oats here in Cedar Rapids, IA. I took it one summer evening a couple of years ago. Be sure to explain what the photo is, so if we use it in the magazine, we can add a caption!